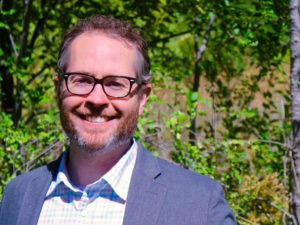 Chris Klein joined COS as Minister of Congregational Life following work at Calvin College in experiential learning and intentional Christian community. Chris and his family have been members of COS since moving from Beaver Falls, PA to Grand Rapids in 2007. The vision for congregational life and care that informs Chris’ leadership and work come from COS’s own mission as well as his training as a pastoral theologian and psychotherapist. The work of pastoral care at COS is shared by the Congregational Life Team, as well as parish care teams that seek to bear the burdens and the hope of the resurrection in courageous and tangible ways. COS as a congregation is committed to working toward healing, guiding, sustaining, liberating and reconciling one with another in light of the Gospel.